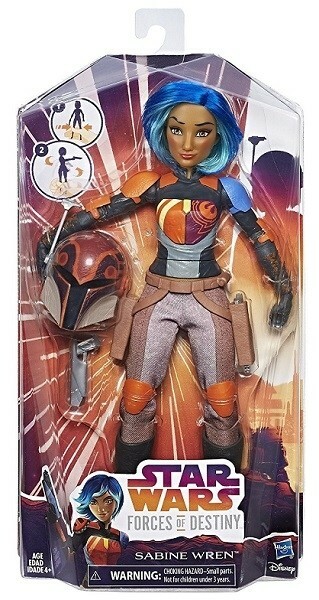 An artist and a rebel, Sabine Wren uses her explosive creativity to fight the Empire! 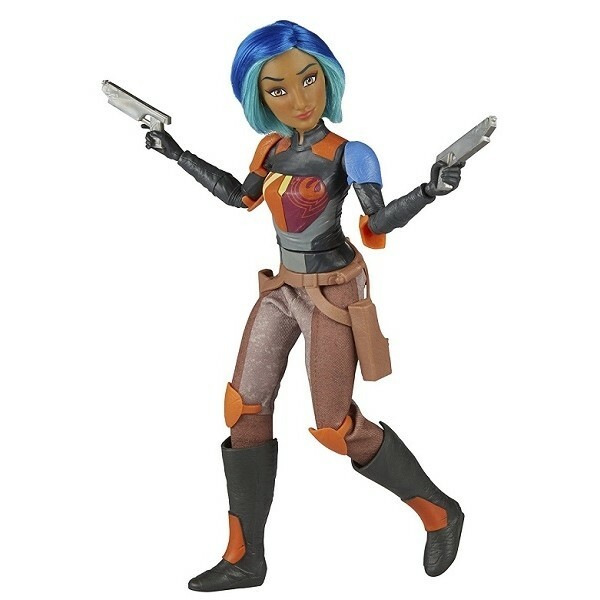 Imagine epic adventures across the galaxy, taking down Imperial Stormtroopers with creativity and flair with this 11" Star Wars: Forces of Destiny Sabine Wren adventure figure. 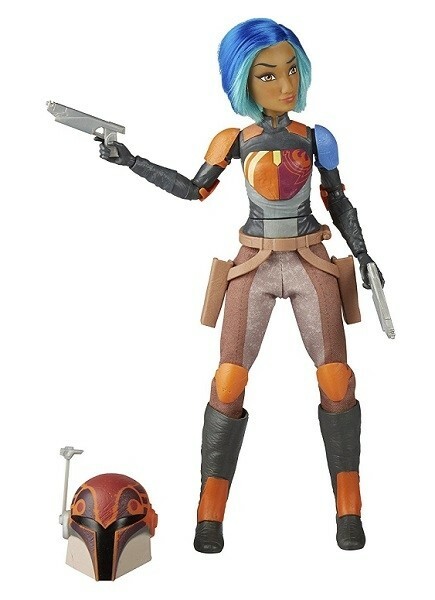 This highly poseable figure, part of the Star Wars Forces of Destiny Collection, comes with 6 armor pieces, a holster belt, pants, 2 blasters, boots, and a Mandalorian helmet she can be dressed in to get her ready for adventure. 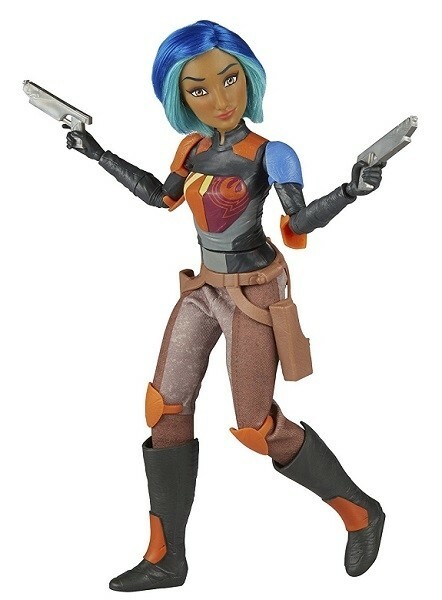 When it's time for action, place her blasters in her hand and squeeze her legs together to see her raise her arm and take aim!